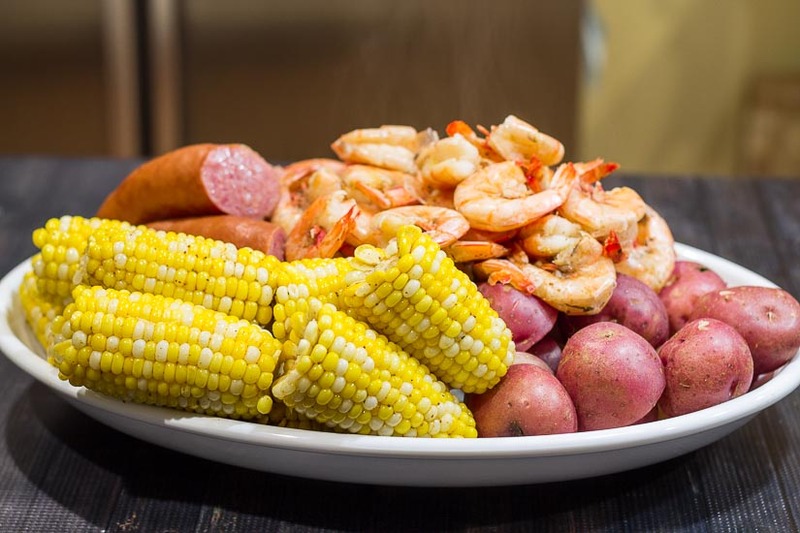 This one pot shrimp boil recipe combined with the flavors of beer and old bay seasoning to create a fun meal any time of year. This shrimp boil recipe is super easy, and you can make it in one pot. However, the pot I use is pretty big. It’s great for a crowd in the summer, with fresh corn on the cob, but since you can buy frozen ears of corn in the grocery store, you can make this delicious meal any time of year. I made this recently when my brother-in-law came over for dinner. He’s a single guy and a huge fan of shrimp, so I made extra for him to take home and enjoy later in the week. The key ingredient is Old Bay Seasoning. My husband loves it. He puts it on corn and eggs and potato salad. It must have come from his love of steamed Maryland crabs growing up in Eastern Pennsylvania. Some of this special seasoning ended up on sticking more to the corn which floated to the top of the pot. It made the corn extra tasty. 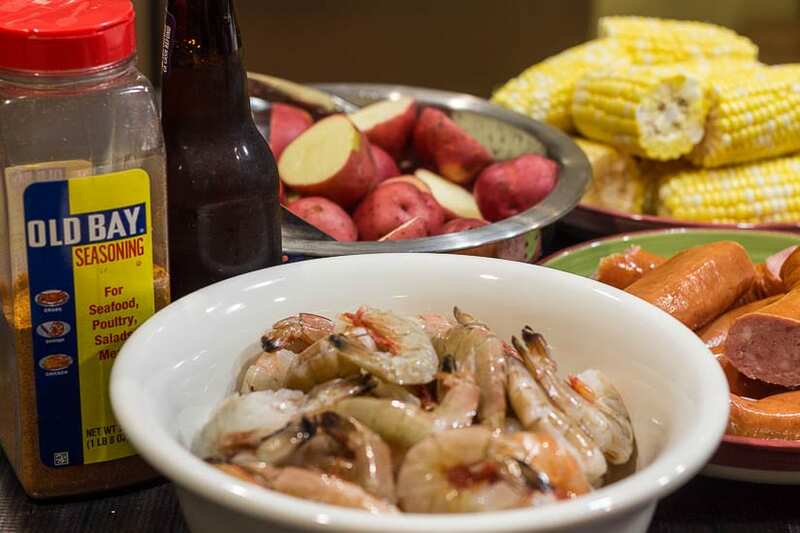 A classic shrimp boil with Old Bay somehow screams summer and the beach to me, but as I said, there is no reason you can’t make this any time of year. In a large stock pot combine water, beer, lemon and Old Bay seasoning. Add potatoes. Bring back to boil and cook for 12 minutes. Add the Kielbasa and cook for 5 minutes. Add shrimp and cook for 4 minutes. Remove all pieces to a large platter and serve.